You can perform factory reset on your iPhone without password or iTunes easily. There can be multiple reasons for performing a factory reset on your iPhone. Factory reset can be performed on iPhone X/8/7/6s/6/5s/5/4s. One of the common reasons for doing a factory reset is that people forget their passcode, pattern lock or iPhone is locked. You may also want to do factory reset because you want to sell your iPhone and want to delete every data and settings of your iPhone. Factory reset can be done in mainly 3 ways on a locked iPhone. You can do factory reset iPhone without passcode or without iTunes. You can also perform factory reset with iTunes. The most common way for performing a factory reset on a locked iPhone is using iTunes. Lets see all the steps which are required to delete all data and setting from your iPhone using these methods. Connect your iPhone using iPhone lightening Cable to your Macbook or PC. Open “Summary Tab” in iTunes. 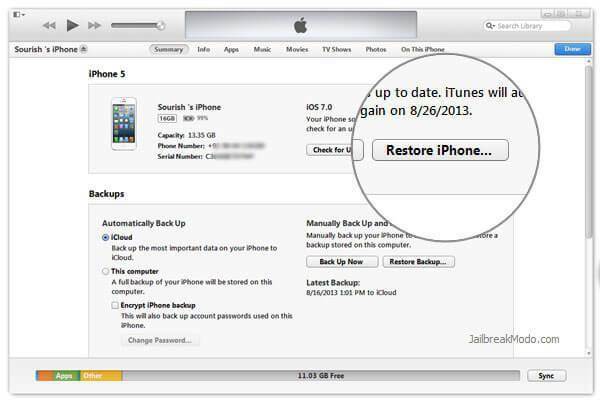 Click on “Restore iPhone” option. Confirm the same in pop window. The process will be completed in few minutes. Wait for sometime. Use the latest backup file to restore your iPhone using iTunes. “Find My iPhone” must be enabled for this method to work. 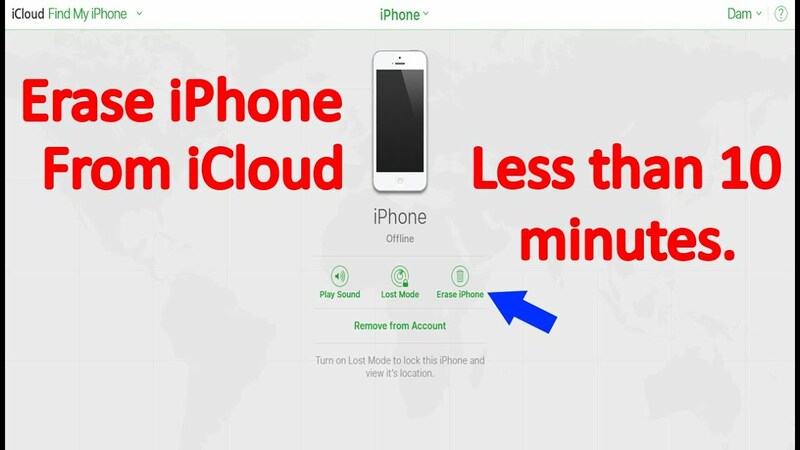 If you haven’t enabled find my iPhone earlier on your device then this method won’t work. Open “www.iCloud.com” on your browser. Login with Apple ID and Password through which you are signed into iPhone. Click “Find My iPhone” from the apps. Tap on “All devices” from the top of internet browser window. Select your iPhone and click on it to open various options. Tap on “Erase iPhone” option and it will erase all passcode, data and settings. Tap on “Settings” in your iPhone. Tap on “General” in iPhone. Now Tap on “Erase all Content and Settings“. It will erase all the data of your iPhone. Now you should backup iPhone using iCloud if you have a backup copy. Start setting up of your iPhone. During this you should select “Restore from iCloud” option. Sign in to iCloud and you will see all backup copies of the past. Select one of them and iPhone will start to restore from iCloud backup. Give it sometime before it downloads everything on your iPhone. 4. Use Software – There are few softwares which tend to factory reset iPhone using the inbuilt functions. However they will use the same methods above. The only thing is that you don’t have to follow steps. These softwares must be paid for to use all functions. I highly recommend you to use free methods given above. In the process you will learn few things. 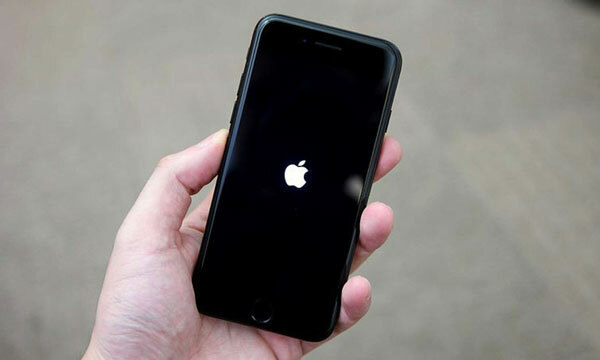 Factory reset will help you get rid of problems like iPhone Black screen, iPhone Freeze Problem, iPhone WiFi connectivity problem, iPhone Unresponsiveness etc.. Hopefully you will be able to factory reset your iPhone without password or without iTunes. You can also factory reset iPhone without using Apple ID and Password. It’s really annoying when we miss important calls and texts from our beloved ones because ringer volume on your iPhone isn’t working properly. Problem is being observed with the latest release of iPhone 8. The iPhone 8 won’t ring for many people and you may be missing a lot of important calls. The iPhone 8 ringer volume not working is possible due to some settings in your iPhone. It may not be a hardware issue. You are simply not able to find or configure the iPhone 8 ringer volume. We are going to tell you what to do when iPhone 8 ringer volume doesn’t work for you properly. You should follow the methods below to fix it in not time. You need to change few settings in your iPhone 8 here and there and you will be able to resolve the problem in no time. iPhone 8 won’t ring problem will go away. iPhone 8 charging port debris. Repair your iPhone 8 at Apple service center. iPhone 8 Silent Switch – Every iPhone has a silent switch at the side of the iPhone through which you can quickly toggle iPhone 8 ringer to ON or OFF. You should check the silent switch of the iPhone 8 whether it’s in off mode or on mode. If it’s off then iPhone 8 ringer volume won’t work. You need to turn it On by pulling it towards front of iPhone 8 screen. Check the switch and change the direction of it. You will get notification on iPhone 8 screen whether ringer volume is OFF or ON. Normally if you pull the switch towards iPhone screen the ringer volume turns ON and if you pull towards back then it turns OFF. Make sure you have turned it ON so that ringer volume works properly for your iPhone 8. Go to Settings >> Sounds and Haptics. Now drag the ringer and alert slider to full volume. There is also setting in sounds through which can change ringer volume with side buttons. Make sure it’s turned on so that you don’t have to go to settings always. Dust/Debris in Charging port of iPhone 8 – It’s a very common problem where iPhone charging port accumulates debris inside the charging port. If there is debris present inside the charging port then your earphone won’t work properly. Even your charger wont’ work properly. You need to take out that debris by using some sharp strong pin (don’t use metal) which doesn’t break inside. Use a torch to see carefully inside the port and clean it carefully. Disable Do Not Disturb – If Do not disturb is enabled on your iPhone 8 then you won’t hear it ring. You need to disable the DND via settings of your iPhone 8. You can also turn it off via control center of the iPhone 8. Swipe up the control center from the bottom of the screen and tap on do no disturb mode if it’s turned on. You will also see a moon icon in the right corner of the iPhone 8 which shows that Do Not Disturb is turned on. If you are not hearing the ringer volume while driving then there is a chance that Do not disturb while driving is ON. You need to turn it off through settings. You can schedule the Do Not Disturb by going to Settings >> Do Not Disturb >> Schedule. 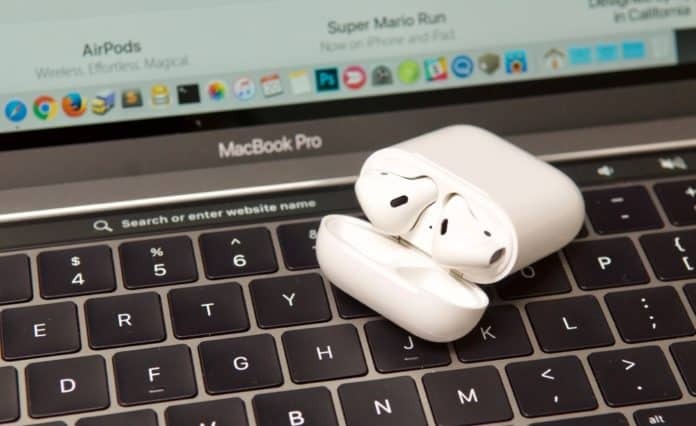 Repair at Apple Service Center – The last solution to this problem is to visit Apple service center and let them check out the problem. Either they will fix it for you asap or will take some time before fixing and returning your device. Make sure iPhone 8 is under warranty before you visit service center. Else you will be given quote for the problem. Most of the problems are fixed right away if parts are available there. Apple repairs are covered by a 90 day warranty. You can take them back if you have any problem within 90 days for free check up and repair. You also need to make a Genius bar appointment from Apple website which will ease everything when you visit them. Make sure you never replaced iPhone part with a non-iPhone part. In such cases it wont’ be repaired. Always use genuine parts even if you repairing it. However most of the time iPhone 8 Ringer volume won’t ring due to settings in iPhone 8. You simply need to checkout the settings as mentioned in the above methods and hopefully you will be able to make your iPhone 8 ringer volume work asap. If you have found any other method which worked out for your iPhone then please tell us in the comments so that we can include the same in the list. This entry was posted in Uncategorized on July 26, 2018 by satyenhacks. iPhone X has lots of problems as it’s a new device. People have reported that their iPhone X screen becomes unresponsive due to some issues and they are not able to swipe or do anything on their iPhone. It disables swipes and gestures on iPhone and many people are unable to turn off their iPhone X due to unresponsive screen. The unresponsive screen makes your swipes and gesture lag very much. There will be a notable delay before your swipe action takes place. Taps on the screen take a lot of time and sometimes they are ignored completely. For most of the people, the screen of the iPhone X freezes completely and they are not able to do anything. There are simple solution available to this problem when your iPhone X screen is not working properly or becomes completely unresponsive. This is a quite rare issue but it’s really annoying if it happens with us. Make sure that your iPhone X display is clean and there isn’t any obstruction such as screen protector or case which is causing the touch problem in your iPhone X. You can start the troubleshooting methods when you think that everything is okay. What causes iPhone X touchscreen to become unresponsive? There can be 3 main reasons for unresponsive touch screen of your iPhone X. If your iPhone X screen is becoming unresponsive while using certain app that you downloaded on your iPhone X recently there certainly the problem is limited to that app only. You should uninstall that faulty app by doing a soft reset of iPhone X. The freeze and unresponsiveness can also be caused due to faulty updates to apps or iOS. Apple keeps releasing updates for iPhone X from time to time. As it’s a new device, lots of updates in the new iOS keeps coming. There is a chance that some faulty update is causing the problem in your iPhone X. Updates cause conflicts to system functions. Minor bugs are always downloading new updates which fixes the problem. Major problems can only be removed by doing a hard reset option. The third reason can be hardware issue. If you ever dropped off your iPhone or phone got exposed to liquid then there is a chance that it’s a hardware issue. It can only be cured at Apple service center. As there is no software issue, you can’t fix it yourself. You need to take it to service center. You can quickly fix frozen/unresponsive iPhone X screen by force restarting the device. Follow the steps below to quickly force reboot of your iPhone X. It will fix up every software issue. Press and release the volume up button of iPhone X. Press and release the volume down button of iPhone X. 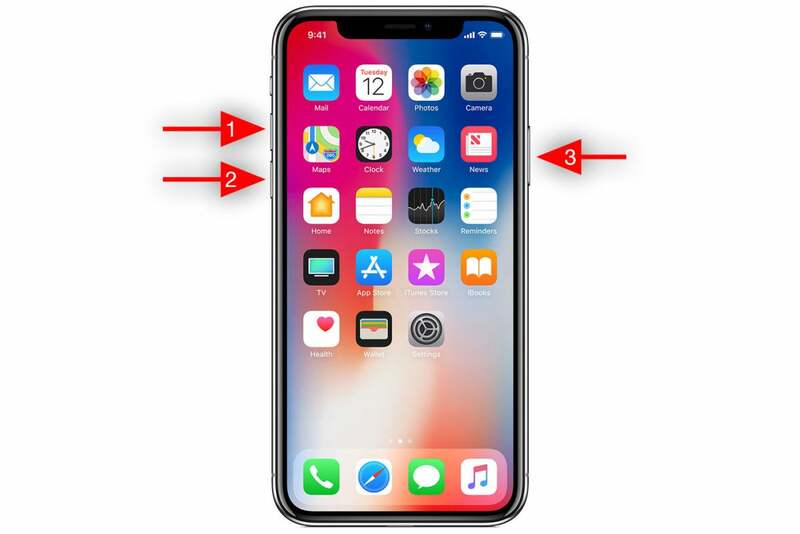 Press and hold power button/side button of iPhone X until you see Apple logo on screen. It can take up to 30 seconds. Once you see the Apple logo then release the power button and your iPhone X will boot up as usual. Once the phone restarts then your screen will work perfectly just like new phone with all the swipes and gestures working perfectly. The force reboot solution doesn’t take much time and your iPhone X will be up and running in no time. First backup of your data via iCloud or backup via iTunes. Go to Settings >> General >> Software update. The phone will start checking for updates. Now proceed with iOS update download and installation. If the above solution didn’t work out for you then you can perform a device firmware upgrade (DFU) mode on your device. The next troubleshooting step is DFU recovery on your iPhone X. This the last solution to fix the unresponsiveness of the iPhone X screen. It will also fix any other issues such as WiFi issues, network issues or any other software or app related problems. Follow the below steps to enter into the DFU recovery mode for your iPhone X.
Connect your iPhone X to a computer using the USB cable provided by the Apple. Open the iTunes program on the computer. Press and hold side button/power button and volume down button on your iPhone x for at least 10 seconds. If the Apple logo appears then you held the button for too long. repeat the steps again. If no Apple logo appears then release the power button and keep holding the volume down button for few more seconds. If iPhone X screen remains black and you are alerted with a message on iTunes saying that it has detected iPhone then you are successfully into DFU mode. Now follow the on screen instruction in iTunes on computer to restore your iPhone X.
Hopefully your problem will be resolved by these two methods. If you discovered any other method then please inform us in the comments below so that we can include that method also. This entry was posted in iPhone Settings on July 25, 2018 by satyenhacks. One of the most common problem in high end smartphones is the power problem. What will you do if your Phone screen gets stuck on to something and won’t t turn off? What will you do if your Phone won’t turn on? The problem occurs in all the phone including iPhones. Many users of iPhone X and iPhone 8 have reported the problem that their iPhone froze and now it’s won’t turn off. Users have also reported iPhone X black screen and how their iPhone won’t turn on. If you are reading the article then there is a chance that you already have the problem where you iPhone is causing power related trouble. We are going to tell you few ways through which you can troubleshoot the power problem of your iPhone and fix it within no time. Follow the given method below to see if your problem gets resolved. If the iPhone power won’t turn off problem goes away then you are good else you can try some advanced method restore iPhone X to fix the issue. Software issue is the most common in such cases. Many people think that their battery is not working properly or the phone is dead. However they ignore the software issue which causes malfunction of the iPhone and wont’ let it turn off or turn on. In such cases you need to restore the iPhone X through recovery mode or using iTune restore method. The software in many phones crashes and it needs to be restored for full functionality again. There are hardware issues in the iPhone X if you have dropped it somewhere or there is a liquid exposure to it. If such is the case then it needs to fixed at Apple service center. You should not fix it yourself. You could damage it even more. Take it to your nearest service center to troubleshoot the issue. How to Fix your iPhone X if it’s not turning OFF or turning ON? Your options are pretty much limited if the iPhone X is stuck and it’s not turning off. Problems are also limited even if the iPhone X is not turning on. The iPhone screen becomes unresponsive and nothing will happen. The iPhone X screen will get frozen and you won’t be able to do anything. You will try to turn off your phone and it won’t turn off. In fact nothing will happen. In these cases try the method given below to fix your iPhone X won’t turn off problem. Power Off – Press the side button/power button of your iPhone X to see if the RED power button appears on the screen. Try it for 2-3 times before you give up. If it doesn’t work then try the next method to troubleshoot the issue. Before you try the next method, make sure that your iPhone X is charged enough for the process. If it’s not charged then connect the phone with Apple provided charger to charge it for few minutes before you use it. Press and quickly release volume up button of iPhone X. Press and quickly release volume down button of iPhone X. Press and hold power button/side button of iPhone X for few seconds until you see Apple logo on the screen. The side button must be pressed for at least 20-30 seconds because sometime the screen is unresponsive because of the black screen. Now the iPhone X will restart in the process. Let the battery go to 0% – Many people have reported that automatic shutdown of your iPhone X when the battery goes to 0% fixed the problem. If the force restart doesn’t work then you should try out this method. Once the phone is discharged completely then connect the phone to Apple provided lightening cable and charge it for atleast 30 minutes. Now turn on the phone. It will turn on and work perfectly. Most probably the problem of not turning OFF/ turning ON will be fixed by force restart of the iPhone X. Force restart is different than normal reboot and that’s why it works much better in troubleshooting the problems in iPhone and iPad. Follow the above given steps one oby one and you will fix iPhone X won’t turn off issue in few minutes. This entry was posted in iPhone Settings, Uncategorized on July 25, 2018 by satyenhacks. Many people are facing problem with the black screen of death in iPhone X. The iPhone X gets stuck on black screen and it won’t power on easily. The problem may be caused due to hardware damage or software related issues. If the problem is software related then we can fix it by trying certain steps mentioned below. If the black screen is coming due to hardware issues such as hard fall or liquid exposure then you won’t be able to fix it. You need to give it at apple service center to fix it. However most of the times the black screen on iPhone X comes because of system crashes which is software related issue. Many people have fixed the problem by following below methods. You can try these simple troubleshooting methods to fix iPhone X black screen and won’t power on problem. You can also take any friends help who have encountered such problems and ask them how did they fix it. It’s one of the best solutions. Let’s see some of the troubleshooting fixes that you can apply on your iPhone X to fix black screen issue. Charge iPhone X for sometime. Use iTunes on laptop to fix iPhone X black screen. Now I am going to explain as how you can use these methods to remove black screen in your iPhone X. Press and hold power button of the iPhone until Apple logo appears. Normally if the iPhone X crashed or froze due to software issues or any other technical problem then press these buttons on your iPhone X until the Apple logo appears and phone finally boots up. Most probably it will resolve the issue. Charge iPhone X for sometime – Sometimes people get confused discharging of the iPhone X for black screen. Now the iPhone X is out of power so it will also won’t turn on. You will continue to think that it’s happening because of the black screen problem. You need to make sure that your iPhone X is charged before you assume that it’s having problem due to hardware of software issues. Connect your charger and let your iPhone X charge for sometime. Charge your phone for atleast 30 minutes. This much of time is enough for your iPhone to power on without any difficulty. Make sure you have the original Apple charger to charge the iPhone. Other local chargers may not provide fast charging and may not be compatible with iPhone X. Always use original charger to avoid any other kind of issues such as slow charging or iPhone not charging at all. Force Restart While Charging – Sometimes few apps cause lot of problem and they drain your battery very quickly making your iPhone unusable. These apps use massive amount of battery life causing your iPhone X to shut down. Connect your iPhone X to an original Apple supplied charger and force restart your iPhone X. Use the first method to force restart your iPhone X. As the iPhone is connected to charger, it won’t shut down and force restart will work perfectly. A restart will also fix apps which are causing the problem. It will also allow your device to charge normally just like previously. If you believe some newly installed app was causing the problem then you can uninstall those apps. Hopefully if the problem was caused due to an app then it will be fixed with this method. Both these methods are advanced methods to restore your iPhone if there is any major software issue with your iPhone and it’s getting stuck on black screen. Press and quickly release the volume up button of iPhone X. Press and quickly release the volume down button of iPhone X. Press and hold the power button when you see connect to iTunes screen. Don’t release buttons as you need to enter the recovery mode of the iPhone X. On next screen, you will one option out of Restore or update. Select UPDATE to update the iOS if it’s there otherwise select restore. Wait until iTunes reinstalls the iOS on your iPhone X without deleting your data. iTunes will download the updates and installs it on your device. If download time takes longer and your iPhone exist connect to iTunes option then you should wait for the download to complete. Once it complete then you should perform the previous steps to reach recovery mode again. If the recovery mode failed to fix the problem then you should try much advanced method which is DFU ( Device Firmware Upgrade ). Device firmware upgrade is one of the last methods to fix any software glitch which made you iPhone unusable and made it to malfunction. You also need to make sure that there is no physical damage or liquid exposure to the iPhone X. If DFU restore methods fails then there is a higher chance of iPhone to brick. Close any running programs on your computer so that no program can interrupt with the DFU mode restore on your iPhone X.
Connect your iPhone X to computer using Apple supplied USB cable. Press and hold the power button for few seconds while it’s connected to computer. Keep pressing power button and press & hold volume down button for atleast 10 seconds. If the Apple logo appears then you have to do it all over again. If you see no Apple logo then release the power button and keep pressing the volume down button for another few seconds. If your iPhone X screen stays black and you will be alerted with a message on iTunes that “iTune has detected your iPhone”. Now you have entered the DFU recovery mode. Follow the onscreen instructions on your computer for DFU restore mode. If you don’t see any alert message then you need to do it all over again. You can always pay for such service at local service center if you are not willing to take the risks. If you are not that much tech savy then it’s always recommended to take help from friends or youtube videos for complete help. If none of the above methods worked then there is a chance that it’s a hardware damage caused due to fall or liquid exposure. Your iPhone X must be repaired at Apple service center in such cases. If your iPhone is under warranty then you should get it checked at Apple service center. Don’t try to fix it yourself by opening the iPhone. You will damage it even more and even won’t be able to fix the black screen problem. Hopefully iPhone X black screen issue will be resolved by following the above methods. Comment if you have found any other method to fix the iPhone X getting stuck on black screen.